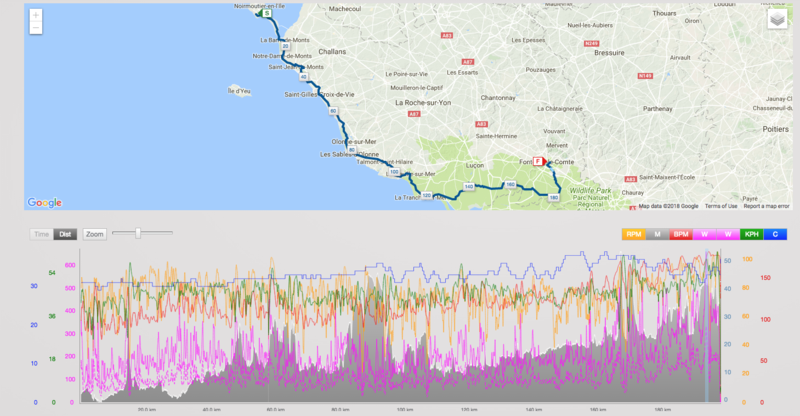 With Training Peaks publishing the power profiles for some of the professionals riding the Tour de France this year, I’ve taken some time to look over their profiles to break it down and give you a bit more understanding of it. 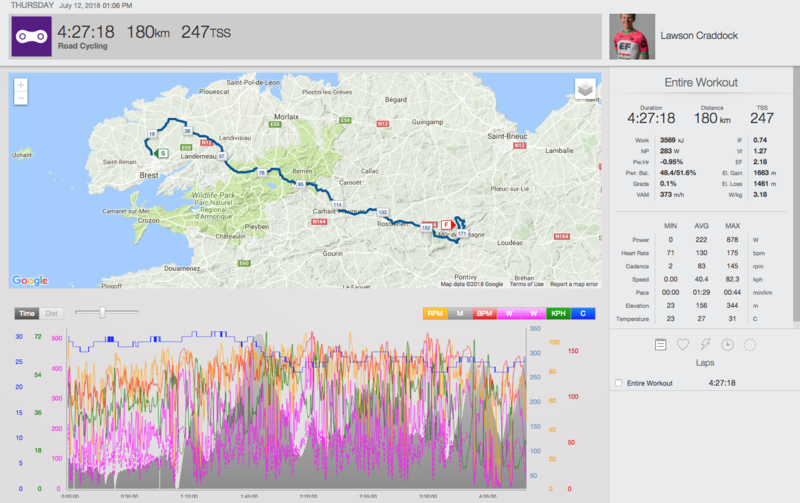 Here are my analysis of both Matthew Hayman (Mitchelton-Scott) and Jay Thomson (Dimension Data) during the 205km Stage 5 to Quimper. 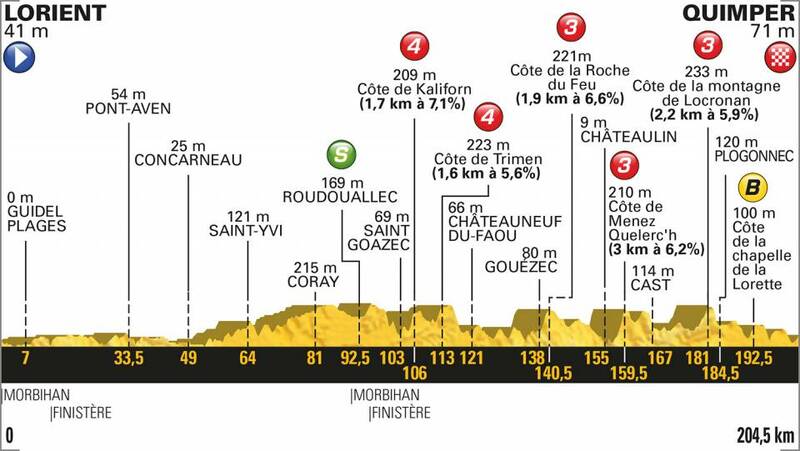 Stage 5 was 205km to Quimper. There was an intermediary sprint at 93km, with the Bonus sprint 193km mark. Further to these sprints there are plenty of options for KOM points available with two Cat 4 climbs at 106km & 113km, with three Cat 3 climbs at the 141, 160 & 181km marks. A breakaway of seven riders got away and then in the second half of the stage the peloton lifted it’s level of aggressiveness to hunt them down lead by BMC Racing and Bora-Hansgrohe. With the narrow roads and fast pace a number of riders drifted off the back. The stage finished with a bunch sprint that World Champion Peter Sagan (BORA – hansgrohe) took out. 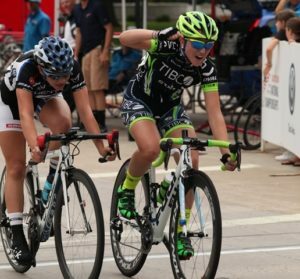 Is a 40 year old Australian cyclist who has been a pro since 2000. He has ridden the Tour de France 3 times previously and done 11 Grand Tours. He is currently ranked 958th in the UCI rankings and his biggest race result was winning Paris – Roubaix in 2016. His role within the team is as a domestique. Matthew finished 135th nearly 8 minutes the stage winner. With an FTP of ~382 Watts, the longest Matthew spent at or above his FTP was just over 10 minutes. His Normalised Power (NP) was 328 Watts. He had a Variability Index (VI) of 1.33 with an Intensity Factor (IF) of 0.86. Although the VI is about normal for a road stage, his IF and NP are pretty high and he had a TSS of 401 for the stage. Jay Thomson is a 32 year old in Dimension Data. He is one of two South African’s in the team. Currently ranked 2,142nd on the UCI rankings. This is his first Tour de France after he turned it down a couple of years ago so he could attend his daughters birth. This year he will miss her second birthday. His main role in the team is as a leadout rider for Mark Cavendish and the Team website refers to him as a Super Domestique. With his role to protect Mark Cavendish, he rode tempo at the back to ensure Mark Cavendish got up and over all the hills without loosing too much time. With an FTP of ~399 Watts, the longest Jay spent at or above his FTP was about 5 minutes. His Normalised Power (NP) was 304 Watts. He had a Variability Index (VI) of 1.21 with an Intensity Factor (IF) of 0.76 which is what would be expected for someone riding tempo like he did today.